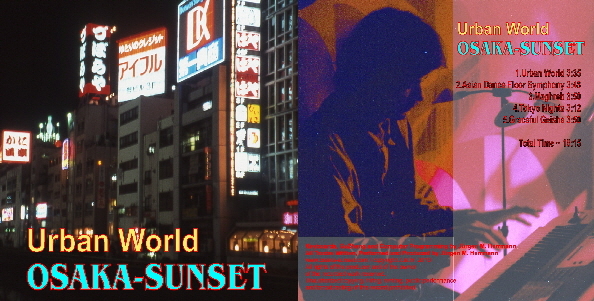 15 fine world tracks - the music styles vary from new age to jazz and soundtrack with a focus on Asian sounds and vibes. The tracks are predominantly relaxing and meditative. Available at e.g. (external. link) iTunes, AMAZON mp3, Spotify. 18 world tracks. 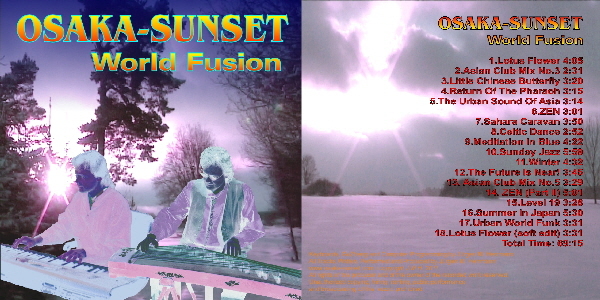 A wide variation of music styles from new age to nu jazz and classical music in a harmonic fusion. 18 fantastic world tracks. The music styles vary from traditional Asian to jazz and funk. Available at the usual online stores e.g. (external. link) iTunes, AMAZON mp3. 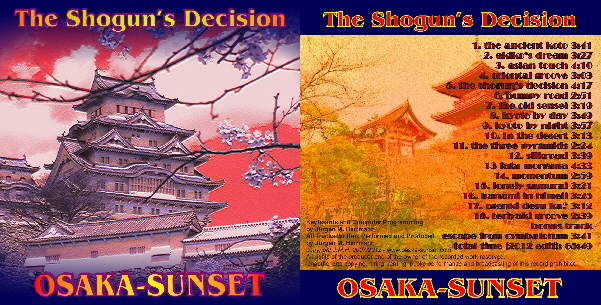 The album consists of 19 instrumental tracks, which show asian and oriental influences. The music is flavored with modern sounds und rhythms. Your musical journey to exotic countries. Wellness for your soul after a busy day. I hope you enjoy it. I composed and produced all tracks. I was always fascinated by the nearly infinite different music styles, sounds and rhythms around the world. Every culture has its own music to tell stories and express moods and feelings. No translation is needed to understand the meaning. Music is an universal language. The album includes 15 mainly instrumental tracks, which show Asian, Oriental, Celtic and other more Western influences. Sometimes you can find even elements of funk, jazz and rock in my compositions. This synthesis allows me to transport my musical ideas and inspirations best.. The EP with 5 fantastic tracks. Asian and Oriental world music in a fascinating symbiosis with modern rhythms and urban beatz. Available at e.g. (external. link) AMAZON mp3, iTunes. You can buy albums or single tracks at several external online stores i.e. at (external link) iTunes, AMAZON mp3. You can get licences for commercial purposes (homepage, internet, commercials, tv, movie, trailer, radio,...) at (external link) soundtaxi.net. After you got the licence a download of the high quality wav-files is possible. My music is roalty free - gemafrei! Falls Sie einzelne Stücke von mir für kommerzielle Zwecke (Webauftritt, Internet, Homepage, Rundfunk, TV, Film, Werbung, etc...) lizenzieren möchten ist es am einfachsten, wenn Sie die Lizenz direkt über (externer Link) soundtaxi.net erwerben, dort ist dann auch ein direkter Download der hochwertigen wav-files möglich. Bei speziellen Anfragen können Sie sich auch direkt an mich wenden. Meine Music ist gemafrei - roalty free!